Dr. Meredith Powers leads a discussion with students in Social Work 505: Environmental Justice. 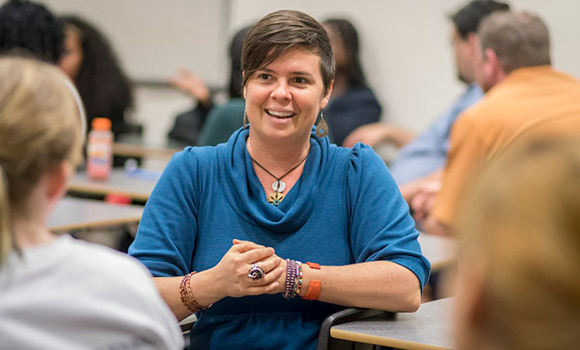 Dr. Meredith Powers’ Environmental Justice course is the definition of interdisciplinary. This semester’s cohort of undergraduate and graduate students is a mixed bag of academic disciplines – social work, biology, public health, anthropology, peace and conflict studies and others. The curriculum is an extension of Powers’ scholarship on the intersection of social work and environmental studies – two disciplines that, at first, may seem unrelated. But according to Powers, this intersection dates back to the inception of the field. This class does just that, and more. 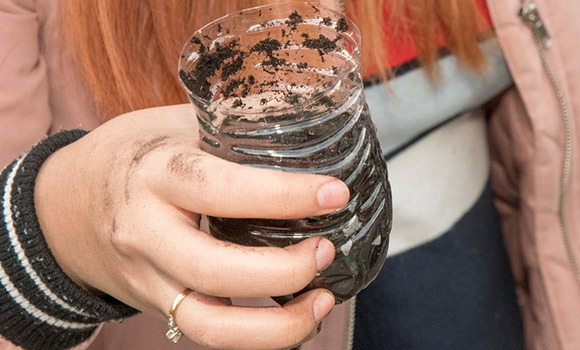 Over the course of the semester, Powers and her students have explored injustices related to the unequal burden of environmental hazards or unequal share of environmental benefits ­– for example, food and water access and issues related to housing. It’s a broad curriculum that has relevance in countless fields. For social work students in particular, the course serves as practical career preparation. 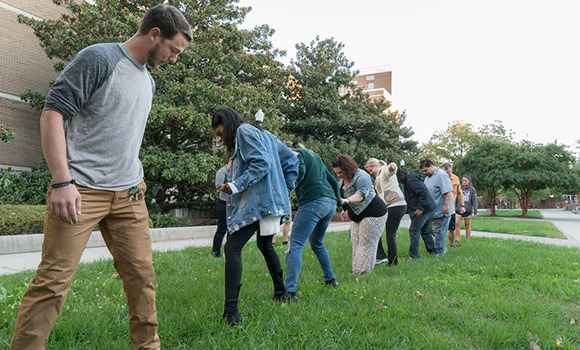 Outside of the classroom, Powers is working on connecting scholars from across disciplines who do similar work related to community and environmental sustainability. Powers’ students participate in an interactive activity designed to demonstrate how Earth’s resources are used and shared. 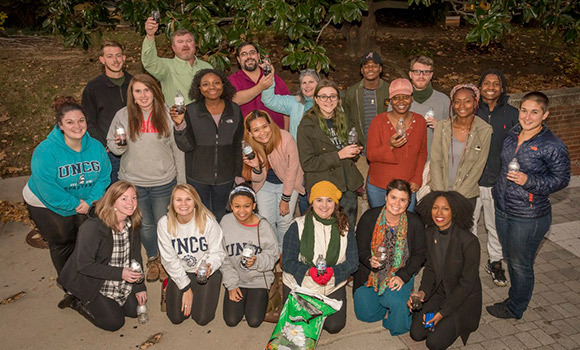 Students plant tree seedlings in plastic bottles reclaimed from trash cans around campus. Once the seedlings are mature, they will be transplanted around Greensboro.